I discovered shifter romance in 2013 when I started reading Dark-Hunter by Sherrilyn Kenyon. I wanted more of a taste of that world, so I started looking for other books to try. Nalini Singh’s Psy-Changeling series turned me into a devoted shifter reader. But I also love the mythology elements of Dark-Hunter. I knew I wanted to write shifters, but I needed the right idea. And the right world. Enter my never-ending fascination with ancient Egypt, and a love of mermaids, started by The Little Mermaid, that I’ve never outgrown. I created the sirens first, by going back into Greek mythology and the earliest versions of the siren myths. They were birds with human female heads. Since I wanted to set this in the Colorado Rockies, my sirens became winged creatures instead of water based. They control humans with their voices, and they feed on negative emotions. They can also create them in unsuspecting humans. If they feed on one human too much, the human usually commits suicide. For my shifters, I went Egyptian. Most of the Egyptian gods were also represented by an animal. My shifters were created to be the gods/ eyes, ears, and servants among the Egyptians. Since I knew I wanted to focus on cats, I read up on the feline and lionine deities. Bastet immediately popped up as the creator of my cats. This statue is one of Bastet. 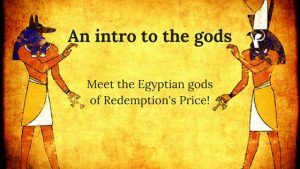 From there, I ended up with Maahes, the god of vengeance and war and son of Bastet. He was most often depicted with a knife or sword, as in this statue. He was also known as the Lord of Slaughter. I dug into him more, and he became the central character of the series. Everything happening is leading Maahes to his destiny. And his own redemption. 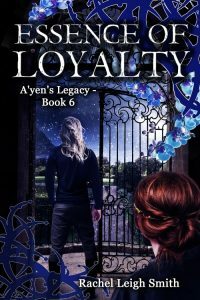 None of the known myths agree on who Maahes’s father might’ve been, but he is Ra’s grandson. Sometimes he was the son of Bastet, and other times the son of Sekhmet. Both goddesses were daughters of Ra, carried the title of The Eye of Ra, and were protectors of the pharaoh. I decided to make Set, the god of chaos and storms and the sworn enemy of both Horus and Ra, Maahes’s father. It gave Maahes the powers I need him to have to play out the story. In 31 BCE, he was captured by Ares, the Greek god of war. You’ll have to read the series to find out how it happened, and how he escaped. The statue to the right most likely depicts Maahes. Other important gods include Ra, Maat, Horus, Osiris, Sekhmet, Thoth, and of course Set. You can’t have Egyptian gods in a novel without Set and his storms and chaos. My love of history is also woven throughout the series. I’m a massive history nerd and museums are some of my favorite places. But most of all, this is a shifter series I hope you’ll love reading as much as I love writing it. Get book one, To Hold A Siren’s Heart, here. And book two, His Soul To Keep, here.